Will there be live fire shooting during the Mass Basic Firearms Safety Class? Yes. 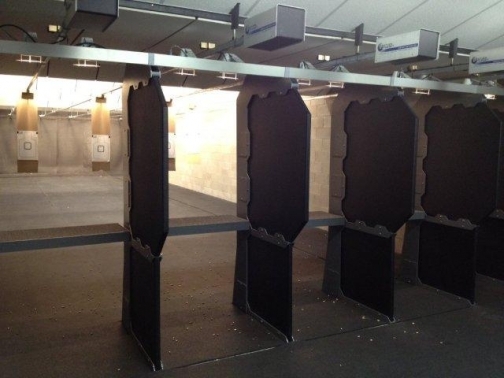 During the class, students will practice their marksmanship skills by shooting at our indoor range. All class shooting is done one-on-one (one instructor for one student). 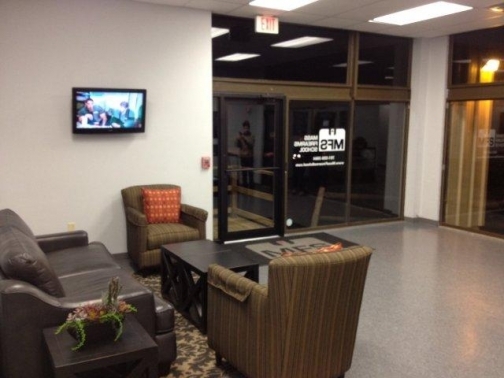 Our range is located in our building. We don't make you pay extra just to shoot a firearm. What is the shooting portion of the Mass Basic Firearms Safety Class like? Our shooting program is more than just blowing off a few rounds at the range. During the class, we will work extensively on proper grip, sight alignment, and trigger squeeze. When we go on the range, your instructor will stand right by your side guiding every shot. During the session you will shoot both revolvers and semi-automatic firearms manufactured by Smith & Wesson and Sturm, Ruger & Co.
What is your “Certification for Life™” program all about? Mass State Police training certificates do not have an expiration date. However, some cities and towns require the certificates to be less than one year old when the student applies for their license. A few cities and towns will only accept certificates less than six months old. Further, other towns (thankfully a small number) will make you retake the class every time you renew your license. All this is why our “Certification for Life™” program is so valuable. If you take a MFS Mass Basic Firearms Safety Class, and your city or town requires you to retake the class, we will let you take it again for free. To add even more value to our classes, we also allow you to take a free refresher class every 3 years. Programs like this are why so many police departments recommend MFS to their local residents. Is taking the Mass Basic Firearms Safety Class the first step in getting a Massachusetts firearms license? You only need to take one four-hour class. While class sizes vary, our average class has one instructor for every 4 students. If we have larger classes, our instructor-to-student ratio increases to as much as one instructor for every 3 students. Will your Mass Basic Firearms Safety Class enable me to qualify for a license to carry? Yes. Our class qualifies applicants for all Massachusetts firearms licenses (LTC Class A, B, and FID). My buddy took a 12 hour class. Why is your Mass Basic Firearms Safety Class only 4 hours long? At MFS, we teach a specialized class that has been approved by the Colonel of the State Police for qualifying individuals to obtain a Massachusetts firearms license. We believe this 4 hour class is the best class to take for those who would like to acquire a LTC Class A, B, or FID. In addition, to the State approved curriculum we have added an extensive shooting clinic that will improve the accuracy of every student. I have extensive experience with firearms. Do I have to take the Mass Basic Firearms Safety Class? Yes…everyone has to take the class. While you may have previous experience with handling firearms the complexity of Mass firearms law necessitates that you take the class. When will I get my training certificate? Your instructor will give you your certificate at the end of the class. We require that students be at least 14 years old. An applicant can be as young as 15 years old and still qualify for a Massachusetts firearms license. No. Our indoor facilities are temperature controlled and comfortable year round. Yes. We have plenty of free parking.